Sony made no secret of the fact that 2015 just wasn’t quite their year. Though Bloodborne started the year off right, and gems like Everybody’s Gone to the Rapture dropped throughout, many of PS4’s other exclusives either underperformed or were delayed to 2016. Looking to the coming year however, the PS4 is taking a bit of a different road, one paved with some truly awesome looking games. 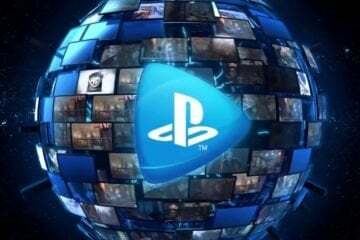 With massive sequels, tried and true developers attempting new things, and even a few fresh faces at the table, 2016 is shaping up to be a great year to own a PlayStation. While there are far more exclusive games coming to the PS4 in the next year, here is our most anticipated of the lot. Is one of yours not on the list? Be sure to let us know in the comments below. Let’s get the obvious one out of the way first. Uncharted and its sequels defined the PS3 for many gamers, and Naughty Dog definitely does not look to be resting on its laurels with Uncharted 4. 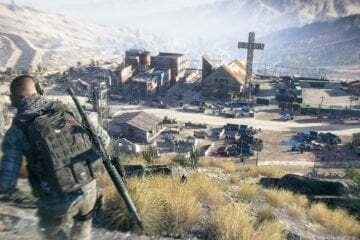 Despite a fair amount of behind the scenes drama, with the original creator Amy Hennig leaving(among other developers), there’s no reason to worry about the franchises future. 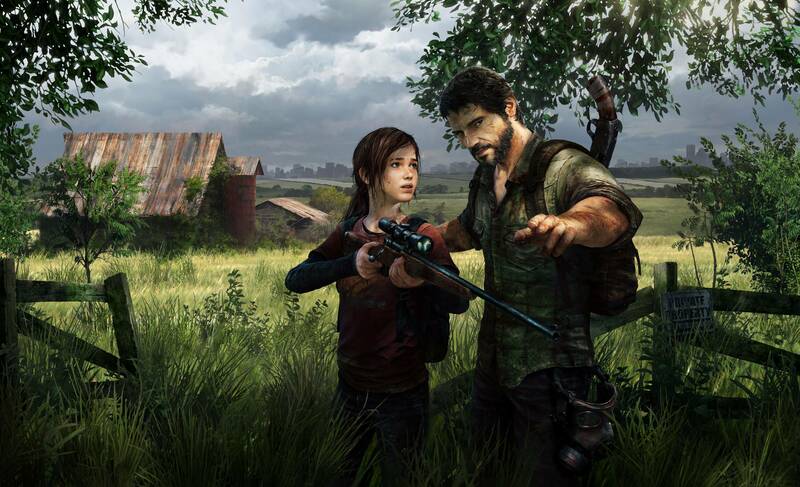 With Hennig’s departure, Neil Druckmann and Bruce Straley(creators of The Last of Us) took the reins and look to deliver another gorgeous globe-trotting adventure. Scheduled to release April 26th, we still haven’t seen all that much of the game’s story. We know it revolves around the sudden return of Nathan Drake’s brother, played by Troy Baker (the voice of Joel in The Last of Us). In just about every way Uncharted 4 looks to be building on the foundation established by the first three games, adding in a few nice touches like bigger, more free-roaming spaces, swinging on grappling hooks, and even dialogue choices. To sweeten the deal even more, Uncharted’s multiplayer is making a return. If the multiplayer beta was anything to go by, it will definitely be worth sinking countless hours into. You can read all of our thoughts on the beta here. Much like Naughty Dog, Guerilla Games, responsible for the Killzone franchise, has been a developer that has helped define PlayStation for over a decade now. The first red-eyed Helghast appeared on the PS2 all the way back in 2004. With Horizon: Zero Dawn, Guerilla Games is trying something different, and it looks to be paying off. 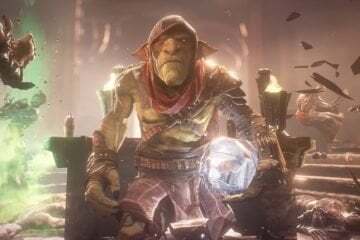 Announced at last year’s E3 beside Final Fantasy VII Remake and the return of The Last Guardian, it’s hard to expect a new IP to steal the show. But Horizon: Zero Dawn certainly did. With a stunning hands-on robo-dinosaur hunting demo, Guerilla’s title made quite the splash. Set in a post-apocalyptic world where today’s civilization has long since vanished, huge robot dinosaurs roam the lush, vibrant landscape. Humans have regressed to tribal hunter-gatherer groups, and this is where Horizon: Zero Dawn kicks things off. 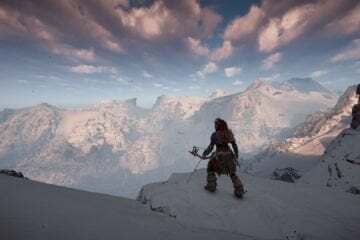 Players will step into the role of a young woman, Aloy, using a bow and arrow of all things to hunt down some of the coolest looking robots video games have produced in a long time. With open-world third-person action adventure, and a healthy dose of RPG elements, there is a lot to look forward to with Horizon. Unfortunately, we still don’t have a release date. Speaking of not having a release date, if there was an award for it, The Last Guardian would have nabbed that title a long time ago. Announced back in 2009, in development since 2007, The Last Guardian became, at best, an obscure pipe dream for PlayStation fans. And at worst, a joke that simply wouldn’t die. But all that’s in the past now, and The Last Guardian is confirmed to finally land in 2016. To this day the PS2’s Shadow of the Colossus is still considered one of the greatest games ever made. As a follow up to it, developer Team ICO promised something just as strange and simplistically beautiful. Nothing fits that better than the story of a boy and his massive bird-like dog. Even after years of waiting, we still know relatively little about The Last Guardian, especially now after the game has likely gone through multiple revisions. 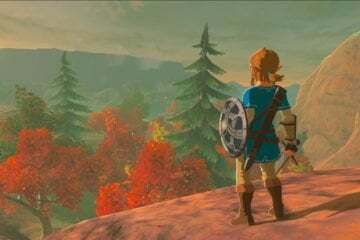 From what was shown off during its announcement at E3 however, its clear the same breath-taking artistic vision is there, and we can’t wait to finally get our hands on it. Making gamers wait almost as long as The Last Guardian, The Witness is another game where time has done little to curb expectations. Not as bombastic or action-packed as some of the games on this list, The Witness is the next game from Jonathan Blow, the man behind the first indie mega-hit Braid. Needless to say, it’s deserving of notice. 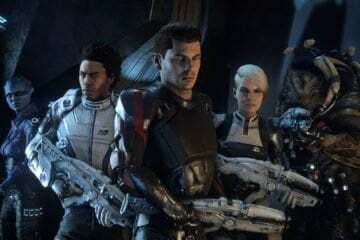 Though originally announced for a 2011 release on multiple consoles, the game went dark and was re-announced alongside the PS4 itself as a console exclusive. The Witness is a first person puzzle game in which you will explore and uncover the secrets of a beautiful island. Deeply inspired by Myst, The Witness gives you a robust landscape of cryptic clues and interesting puzzles just waiting to be solved. This, paired with what Blow promises will be a uniquely minimalistic sound design and a story that players will have to discover for themselves, is set to make The Witness a potential go-to classic for those looking to satisfy that old-school puzzler need. And best yet, the wait is nearly over. 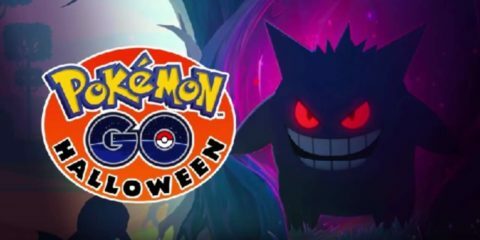 The game is due out next week. Continuing the trend of great developers trying new things, Alienation is a game not every one is paying attention to, but definitely should be. When the PS4 launched, oddly enough, one of its stand-out titles wasn’t a big flashy AAA game. It was Resogun, a side-scrolling shoot-em-up from the developer Housemarque. And as a follow-up, Housemarque seems ready not to disappoint with Alienation. A spiritual successor to the developer’s zombie-splattering PS3 game Dead Nation, Alienation places you and up to three other friends against the hordes of the alien menace in a hectic, beautiful twin-stick shooter. As simple as it was, Resogun excelled because of just how much fun the moment-to-moment action of the game was, and it’s not a large leap to expect the same out of Alienation. Though there were rumors about a possible March release date, no official date has been announced. For those interested in rock-solid mechanical fun, but prefer a more competitive approach, Street Fighter V is on the way. Though plenty of games have come out in the series since, the last actual numbered entry, Street Fighter IV, was released in 2009. As the new numbered title might suggest, Capcom isn’t satisfied just staying with the status quo anymore. Along with introducing new mechanics to the series, Street Fighter V is freshening things up with new characters, and overhauling old ones. Overall, the game looks to be giving something interesting not only to those new to the series, but also to practiced veterans. And if that wasn’t enough, Capcom is also trying an entirely new monetization system. Echoing the free-to-play make up of MOBAs, Capcom is planning to turn Street Fighter V into a platform for years to come, not just another one-and-done title that will be replaced next year. As such, all DLC and balance patches will be free, with new characters available for purchase using either real or in game currency. While there are many that aren’t sure about the changes, Street Fighter V is still a game to keep your eye on when it releases on February 16th. Just in case fighting games don’t scratch that competitive itch for you, Epic’s latest might just do the trick. If you take the developer that gave us Gears of War and pack that fast-paced action pedigree into the shape of a MOBA, you end up with Paragon. Even though it is undoubtedly a MOBA, Paragon also has the potential to bring some welcomed originality to the usually very restricted genre. Epic has been quick to point out one of the biggest change to the formula: verticality. 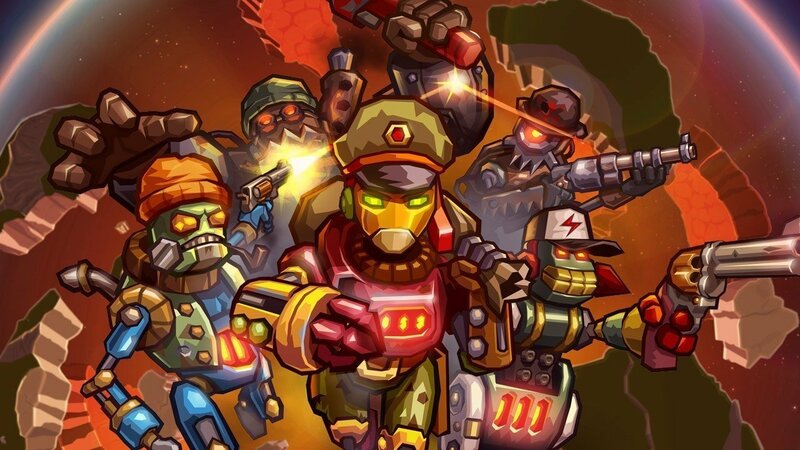 Almost exclusively made up of top-down games, the MOBA genre has never really dealt with the idea of jumping or having to aim at an enemy above or below you. Fully embracing the developer’s action shooter DNA, Paragon has all of this, making it potentially one of the most unique games in the genre. It also helps that the game happens to be gorgeous. From what little Epic has shown us, Paragon looks absolutely stunning. Anything from its alien characters, sci-fi weapons, and landscape, is enough to make you pause. Whether you’re a long time MOBA player, or an action-shooter fan, chances are you’ll want to watch for Paragon’s release sometime this year on PS4 and PC. Pretty much the opposite of the last few sci-fi, multiplayer, and competitive games on the list, Hellblade is a single player hack and slash game developed by Ninja Theory, the team behind DMC: Devil May Cry and Heavenly Sword. Though being developed by a small team as an independent title, Ninja Theory is committed to delivering the full AAA game experience when the game releases as a PS4 console exclusive this year. Though what we’ve seen of the game so far has only been very early footage, Ninja Theory has more than proved they have what it takes to deliver a tight, satisfying hack and slash game with all the style and brutality any fan of the genre expects. Centered around a young Celtic woman named, Senua, Hellblade deals with her terror and the resulting psychological trauma following Viking raids of her home. 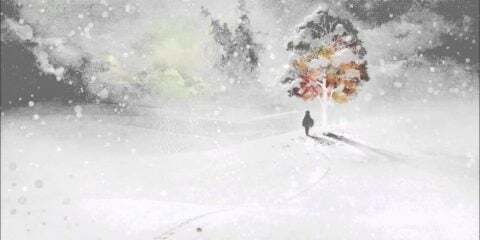 Touching on themes of mental illness and PTSD, Ninja Theory looks to be on the road to creating a game with a voice uniquely its own. And finally, what list of games would be complete without one of the most anticipated games coming to any platform: the wildly ambitious No Man’s Sky. Developed by the small independent team of Hello Games, it is quite possibly the largest game ever made. Even though every player will be in the same procedurally generated sci-fi universe, chances are you will never find your friends. According to Hello Games, if you spent only one second on every planet in the game, it would take you 585 billion years to see every single one. Inspired by the old sci-fi books the developers read while growing up, the game prizes exploration above all else. That doesn’t stop the game from being filled with aliens to shoot, space combat to blast through, and even an entire economy to make your fortune in. Set to release as PS4 console exclusive this June, it’s hard to say there is anything else quite like No Man’s Sky. So there you have it, nine of our most anticipated games coming to PS4 in 2016. But this is only a fraction of what gamers can look forward to. There’s also Grand Turismo Sport, the return of Ratchet and Clank, Dreams from the developer of Little Big Planet, indies like Firewatch, and many more. Sony put out a video detailing twenty different exclusives releasing this year. 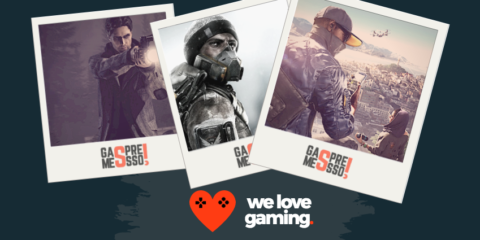 As each game comes out you’ll find all the news and reviews right here on Gamespresso.